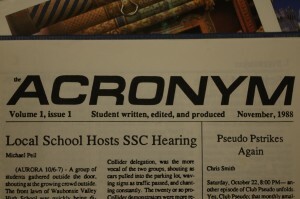 The Acronym is IMSA’s official student-organized newspaper. It was formed by students, for students, in 1987. 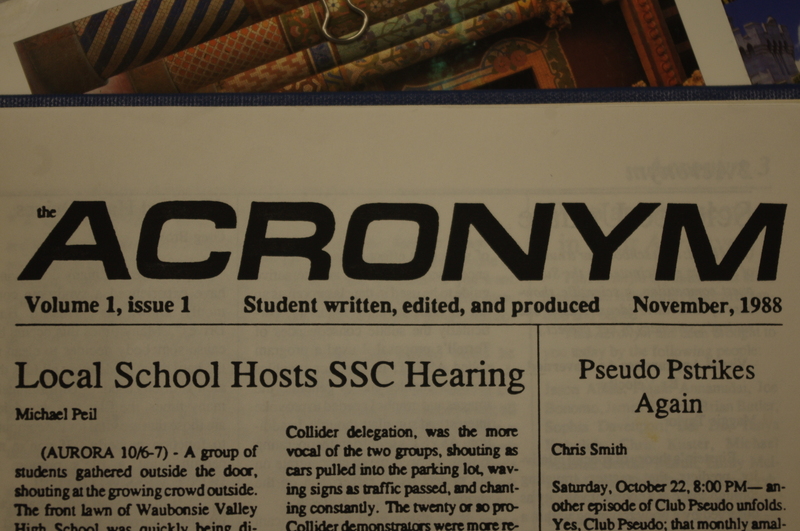 When it was conceived, the Acronym was printed in the style of newspapers at the time, in other words, on actual paper! In those days, the Acronym was organized into annual volumes with issues being published on various schedules through the years. This desire to stay modern continued when, in the 2008-09 school year, the Acronym ceased regular printing and transitioned into an entirely online newspaper, though it wasn’t until the 2011-12 school year that we migrated to WordPress, our current hosting service. Still reporting the same high quality stories, the Acronym rebranded itself. The Acronym has a history of trying to stay up to date and attractive, so in 2014, Joe Reda redesigned and modernized our graphics, including the logo you see at the top of the website and the smaller logo that we use on our letterhead and on Facebook. For the 2018-2019 school year, Madison Hahamy (’19) and Shubhi Verma (’19) are the Editors-in-Chief. They are always available by email at mhahamy@imsa.edu and sverma1@imsa.edu.